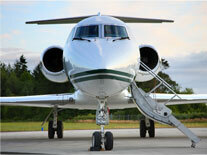 AT DIAMOND JETS, WE HAVE AN EXCLUSIVE INSIGHT INTO THE LUXURY TRAVEL MARKET. With over 20 years of experience, each of our brokers are highly skilled in all aspects of travel and have extensively travelled themselves. Therefore, we have acquired vast knowledge, not only in jet charter, but also with specially negotiated rates, and personal relationships with most luxury hotels and resorts worldwide. In addition to this, our familiarity with the World’s major cities, mean we can arrange everything required for your business or leisure trip from start to finish, tailor made to your high specifications. 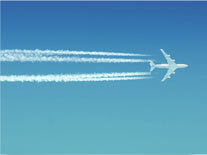 With offices in the UK and USA we truly bridge the World of Private Jet Charter on both sides of the Atlantic. Financially secure and well established for over a decade and with the added bonus of IATA, ABTA and ATOL licensing we truly are a unique, innovative and ground breaking concept within the Luxury Travel Industry. Remember, when you fly with us privately you choose the aircraft type, you choose when you fly and you choose who you fly with! We are then available 24/7 to work closely with you to provide a memorable experience for you and your guests. There is one thing for certain, travel with Diamond Jets and your VIP experience from start to finish will be one of comfort, quality and reliability. Call our specialist Private Jet Charter brokers today on +44 (0)208 421 7000 and take the pressure off and sit back as we make all of your VIP arrangements for you, with discretion and at the very highest level of service.